MyLTV is your online home for Leisure Travel Vans owners. Learn more about your LTV, connect with other owners, view upcoming events and more! To create a MyLTV account, you need to have a valid VIN of your chassis (Sprinter/Chevrolet/Ford/etc). Your chassis VIN is typically 17 digits long. To register, first visit the registration page. 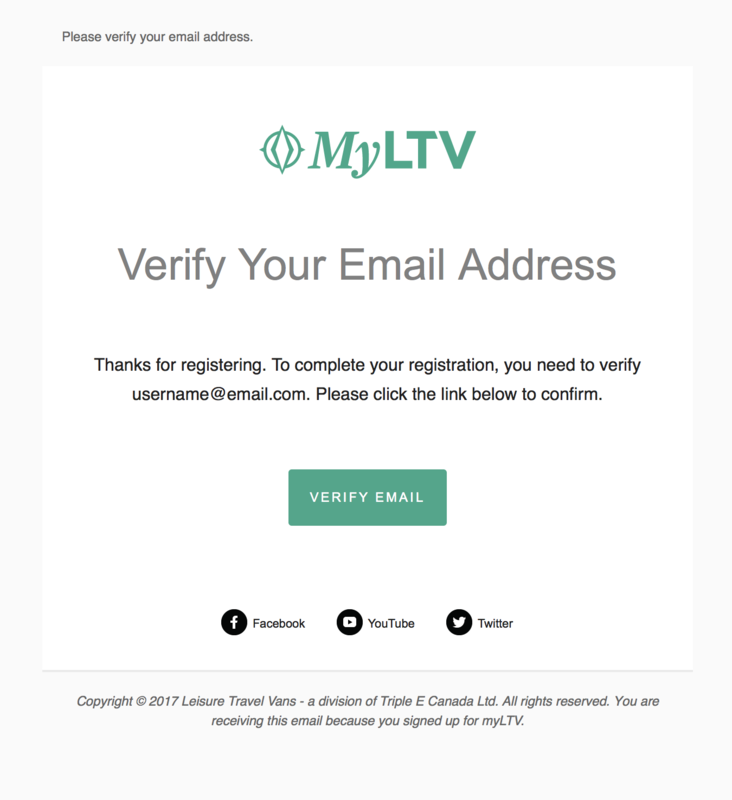 If you are part of a MyLTV Travelers Club, please select it from the list. Once you have filled in all the necessary fields, click on Submit. Please make note of the email address and password you use, as you will need these to log in later. If you've successfully registered, you should see a dialogue like this. You can then move on to the next step, Verifying Your Account. If not, please correct any errors and try again. After registering, you will not be able to immediately log in. 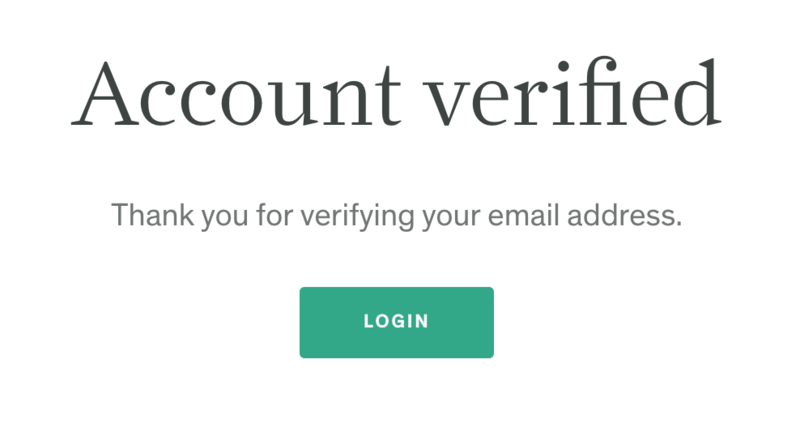 We first need to verify your email address. Click the Login button, and you will be redirected to the login page. Enter your email address and password you used in the registration step, and you should now be logged in! If you're having trouble logging in after following these steps, please try resetting your password.